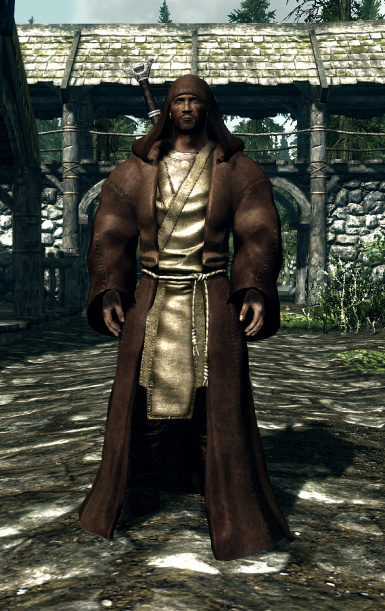 It looks great, I like the large look it gives the Dragonborn, it gives the robes a European monk-like feeling overall. And if anyone has trouble finding the Old Hut, just let me know, and I'll direct you to it from the Blacksmith's house. these look so awesome!!! 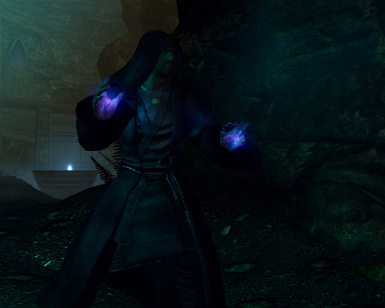 i would love to see these as replacers for all mage robes. i can't stand the wrap around shawl look in the vanilla game. I can't find this "NEW shack" for the life of me. Can somebody help me? Head to the north gate of Riverwood. Once there, follow the path that leads north. In other words, follow the path that leads away from Riverwood starting at the north gate. Along that path you will find a small shack or cabin or house. When you walk up to the front door, the house displays the name, "Old Hut". Open the front door. The house has a jedi master inside who will greet you upon entering. In the hut there is a trap door that leads down to a jedi cave. Once inside the jedi cave, cross the bridge. At the end of the bridge you will find a book from the mod author and a chest containing the jedi clothing. Have fun and I hope this helps! I still can't find this shack I already arrived at whiterun. robes don't show up at all. character model is made invisible. I didn't have this problem. It must have been fixed! 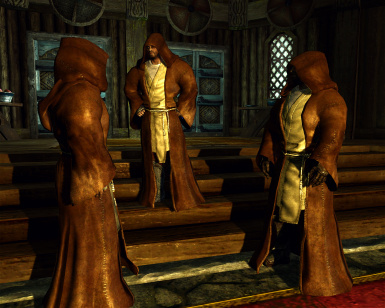 The robes look awesome. Love it. 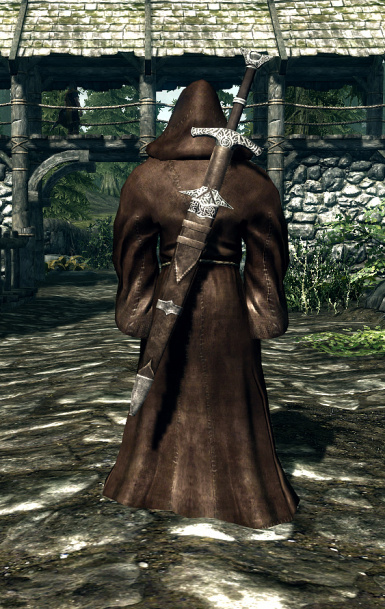 Just wondering if anyone knows of similar robes but without the brown overcoat on? Like just the under-robes? Jedi robes are supposed to be baggy so they can conceal the wearer. Thus, allowing Jedi to go about their Jedi business cloaked and unnoticed. These robes do just that! Perfect mod and highly recommended! "Endorsed, it is! ", as Yoda would say! did a clean install of skyrim and reinstalled the mod. Robes are there, but they are invisible. It appears as if the character model has become invisible. But, what about an Armored Version with real Armor or a Version wihout the brighter Robe Parts, so it's compatible with "Capes n Cloaks" or Winter is Coming. Is there a Chance to impelent these ideas?